In any part of the world, 40-60% of internet users come from mobile. 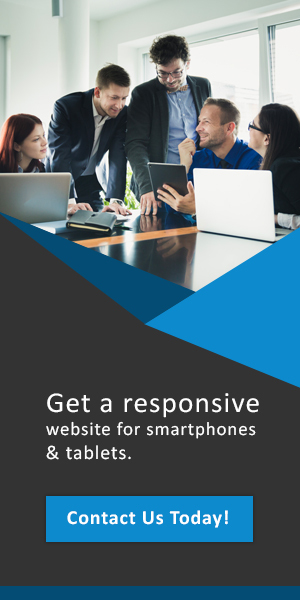 On average, ½ your website’s traffic is from a phone, tablets, and other smart devices. 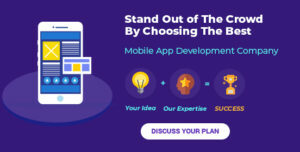 This is why mobile application development is a hot topic in the web design world. A website that doesn’t respect the mobile experience fails. A non-compatible site is slow for mobile users. It isn’t designed in a way that suits the capacities of mobiles. You must make sure that your website doesn’t fail that way. And this is something we’ll help you with. We’ll mention 7 tips to boost your website’s mobile loading speed! #1 – Upgrade Your Hosting Service. Most websites use basic packages as a hosting plan. While this is affordable, it’s not an option that works for all. Such content includes video and heavy image use. It’ll cost you some extra dollars per month. But, you benefit greatly. With dedicated hosting, you get an entire server for yourself. You don’t share your website’s hosting space with others. Successful websites rely on quality imagery and videos. Unfortunately, those come with a drawback – this being loading speed. Image sizes affect loading speeds. Large images with more detail can slow down a page. The same thing applies to videos. The longer a video, the more time it takes to load – which is disastrous for content readers. What you must do is adjust file types and videos before uploading. Your images should be reworked. Change the file format and size. Also, compress and crop images if you can. As for videos, use external tools. You can load videos onto your site from YouTube, instead of storing it on the page. This saves insane amounts of mobile load time – possibly minutes. With caching, a copy of a “highly visited page” is stored for quick loading. You see, normal pages take time to load, especially on mobiles. So storing an unmodifiable copy makes loading a breeze. Now granted, excess use of caching causes problems to your website. For example, it can make it difficult to do and see CSS edits. So, relying on it for pages you don’t update is OK. And it’s convenient for mobile users. Lazy loading is a feature where a website’s content loads from top to bottom. It’s an old method of loading. But it’s one of the best for mobiles, for a very important reason. Mobile users rely much on scrolling to see an entire page’s content. And to load portions at a time suits that user experience. By the time a mobile user checks part of a page, the next part would’ve been loaded. So we recommend using lazy loading. You can get them on platforms like WordPress, through widgets such as Lazy Load – or WP Rocket. Did you know that Google likes lazy loading websites? The average digital marketing expert doesn’t know this – so this is a pro tip. Even though lazy loading is old, the algorithms show that it’s gold. By using it, you’re accommodating mobile user habits. Also, you please search engines, which means higher page rankings. #5 – Prioritize What Loads First. JS codes are heavy, and many HTML elements don’t load until JS scripts load first. This applies especially to website, where long strings of JS code can wreak havoc on loading speed. Move JS files to the bottom of a page. You’ll need some coding expertise to pull this off. We recommend executing this tip with the help of web design services. And make sure they specialize in mobile app development. #6 – Cut Out Plugins. Plugins are a quick fix to many web development problems. Unfortunately, many take up too much space on your website. You see, many plugins are interactive. They affect widgets, icons you can place, and even the content and comments sections. You either need plugins that load fast. Or, you need to cut down on their use. Go through the list of plugins you have. What isn’t vital, or what you do not use should be deleted. Get rid of redirect URLs. They slow down the experience of mobile users. Instead, use clean and up-to-date links. Instead, remove outdated content, or update it. That way, you won’t have to use redirects, especially 301s. So far, we mentioned 7 tips for a website that boosts mobile speed. But there’s one final tip we should mention. And that would be getting a website development company. Web design services can optimize your site for fast loading. And that’s what you for mobile users. One we recommend is Website Developers India (WDIPL). They’re one of the best in the field. And they’ll design websites that combine speed and beauty. Visit their website, and check out their services now!